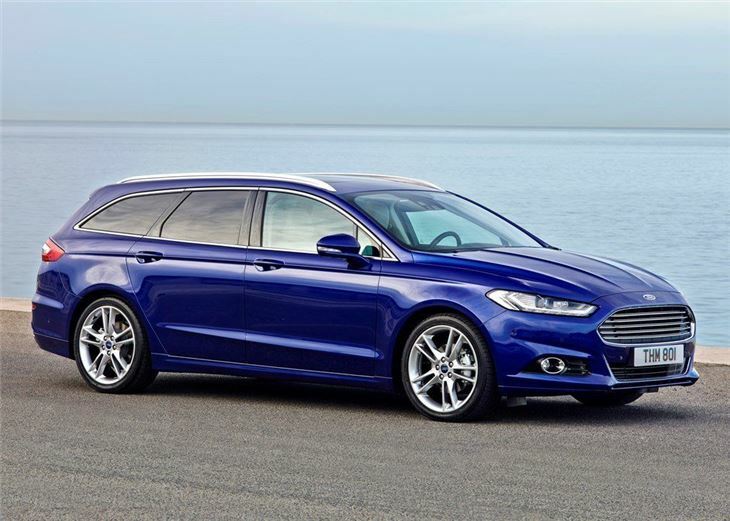 Big Fords have always managed to strike the right balance between fun and affordability. 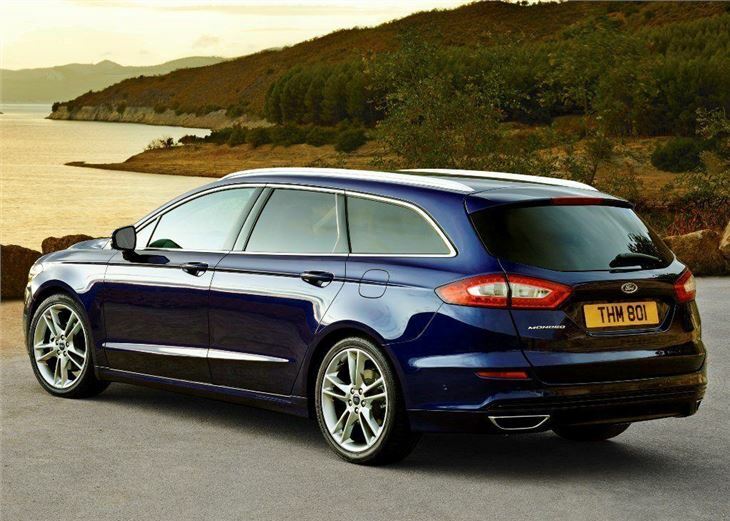 Indeed, the previous Mondeo Estate was a huge success, scoring highly for its fantastic drive and excellent value. Will its much-delayed replacement continue the success? 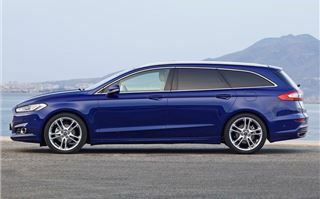 In years gone by, Ford has always been able to rely on its ST brand to spice up its family car range, until now. You see, with Ford pursuing a more upmarket image - and market - for its new Mondeo Estate, it has decided to drop the ST model from the range. 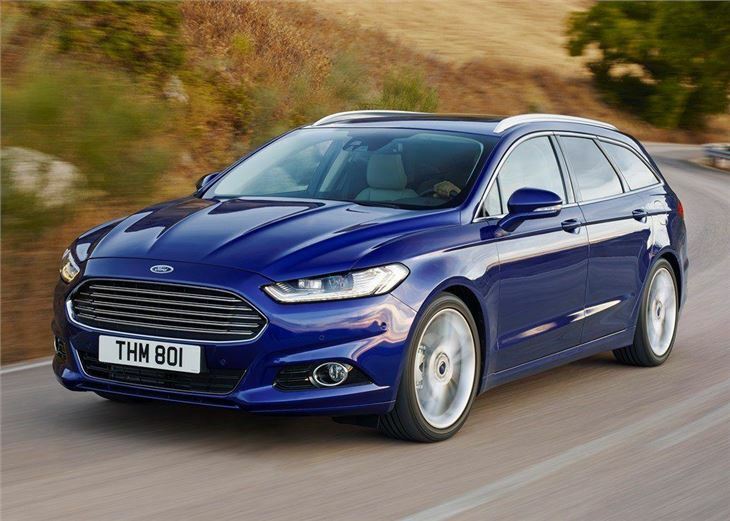 That's not to say it has gone soft on performance - it hasn't - but don't expect to find any bodykits or flashy spoilers on the Mondeo options list. 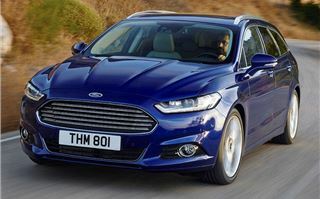 Now, before anyone gets misty eyed over the demise of the Mondeo Estate ST, we should point out that the new model is more powerful and more efficient, with the choice of 240PS EcoBoost petrol or a 210PS TDCi. 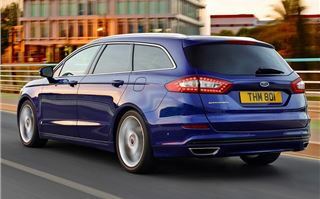 The only catch is these are now limited to luxurious Titanium trims only, with the focus firmly on upmarket luxury than the hot hatch end of the market. The diesel option is the most efficient. 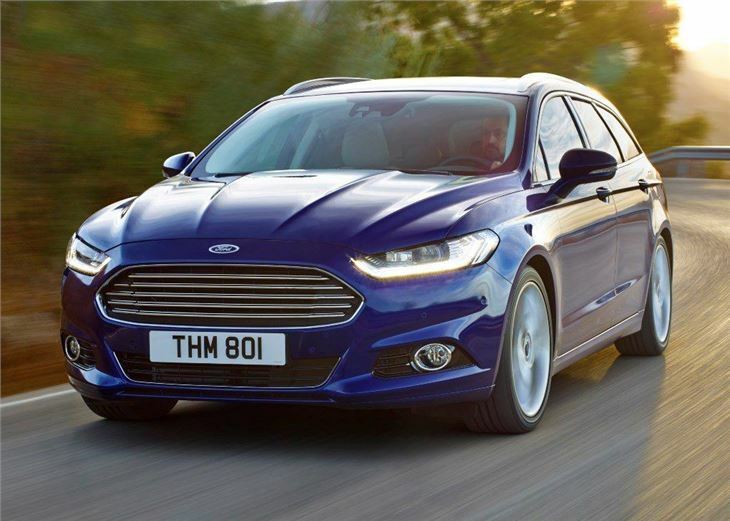 The 2.0 TDCi with 210PS and a considerable 450Nm of torque returns an official 58.9mpg with emissions of 124g/km of CO2. 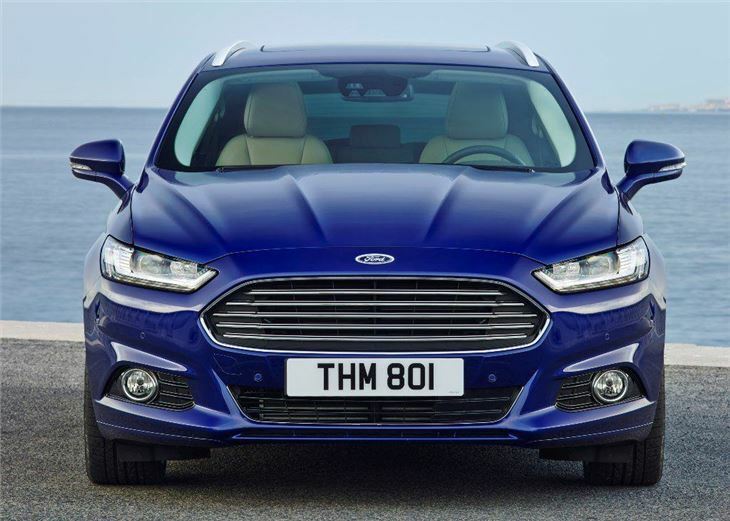 This means the Mondeo Estate will reach 62mph in less than eight seconds. 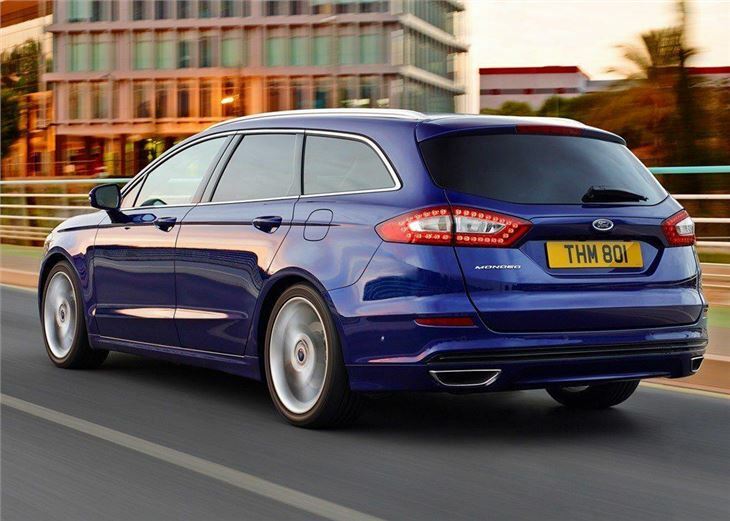 In comparison, the old 155PS Mondeo Estate ST TDCi needed around nine seconds to hit 62mph, while economy sat around 46mpg. 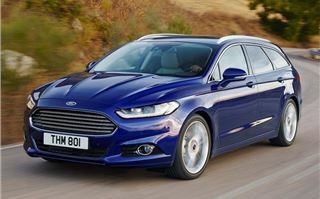 The new Mondeo Estate also rides better than its performance-focussed predecessor, with a soft and comfortable suspension that rarely feels impeded by the standard set of 17-inch alloy wheels. 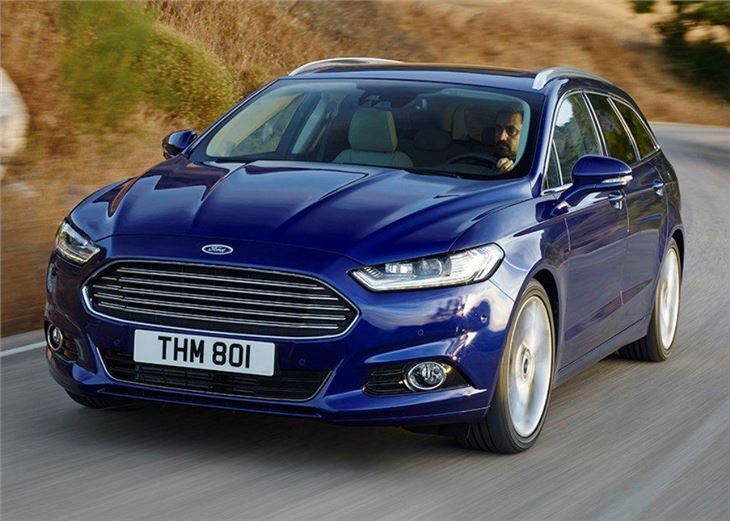 As a result, pot holes and speed bumps can be easily skipped over, while the low levels of road and wind noise provide a cosseting ride that feels a world away from the bumpy and often noisy Mondeo ST.
On the downside, the new Mondeo Estate doesn't steer as sharply as the old model and the handling is less engaging too, but only Ford enthusiasts will note the difference. Likewise, only those in pursuit of power will pick up on the fact the front wheels can occasionally struggle for grip, with the steering wheel wobbling slightly as you apply hard acceleration. The four-cylinder diesel is impressive though. 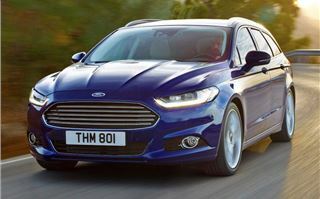 It's matched to a six-speed PowerShift automatic gearbox which works well enough on the motorway and at low speeds, but does struggle to keep up with huge torque levels when put to task. Sadly there's manual mode, with the gear shift paddles behind the steering wheel only working for a few moments before the automatic gearbox takes over again. 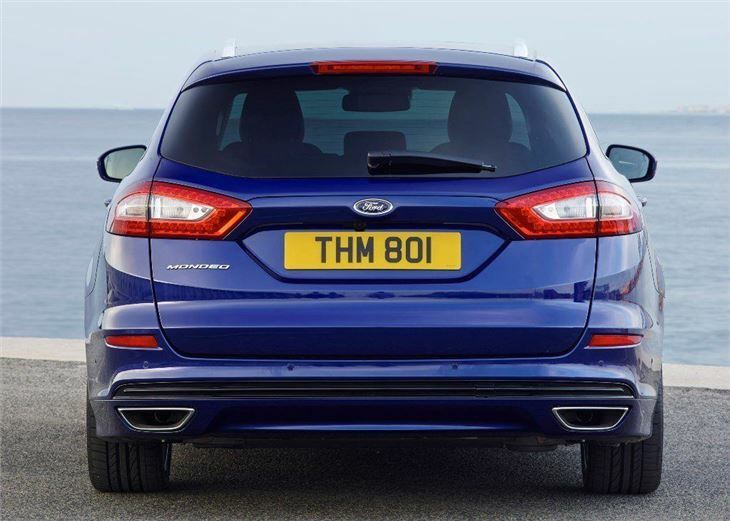 Few Mondeo Estate drivers will ever look to push the boundaries of the 2.0-litre TDCi, but with so much performance it would have been nice to have the choice. At lower speeds the engine and gearbox work well enough, with smooth gear changes and low levels of engine noise. This makes it easy to cover long distances with peaceful motorway driving that is complemented by the stable and comfortable suspension. As you'd expect from a big Ford, there's no shortage of interior space. 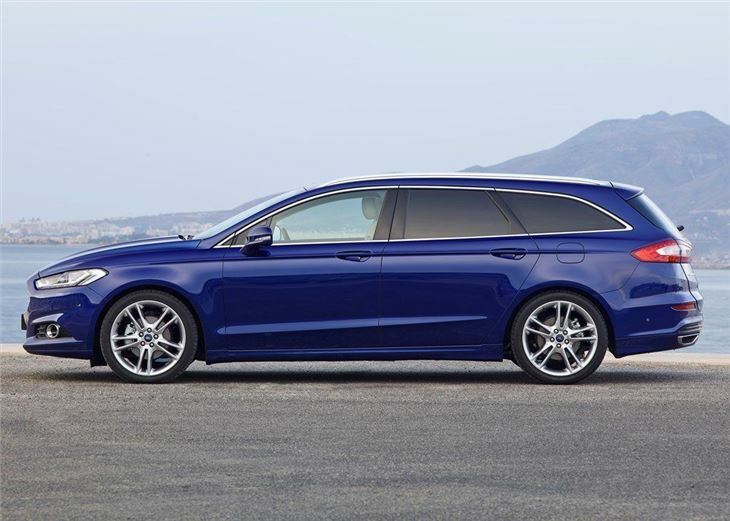 The large cabin will easily transport five adults in comfort, thanks to the high roof and abundance of space between the front and rear seats. The 525-litre boot is large, with the high roof line providing lots of flexibility for loading large items. 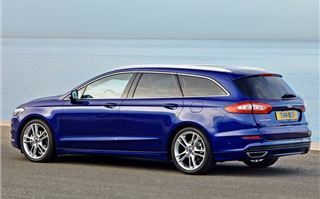 The rear seats can also be lowered to free up 1630 litres. The interior design is clutter free, with a simple but smart centre console that features an easy-to-use eight-inch colour touchscreen. 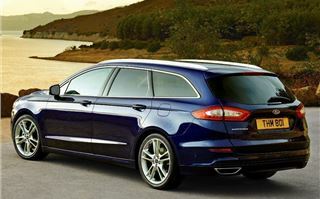 Ford's cabin architecture has improved a lot in recent years and the interior of the new Mondeo Estate is one of its best we've seen from Ford. Attention to detail is also high, with no gaps between the plastics or creaks from the trim. However, the steering wheel is at odds to the clutter free dashboard, with lots of buttons that easily confuse. All Titanium models are well-equipped, with a quickclear front windscreen, automatic headlights and wipers plus a comfortable set of cloth sports seats in the front. 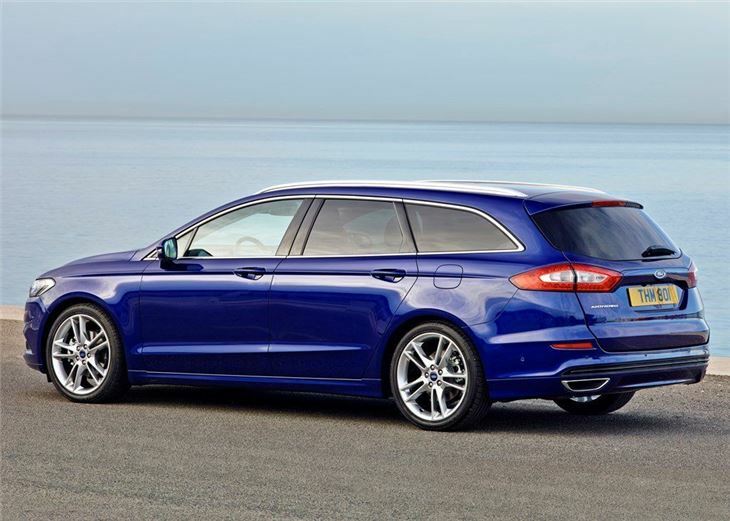 Ford also offers an intuitive automatic parking system that can get you in (or out of) a bay or parallel parking space as an optional extra. 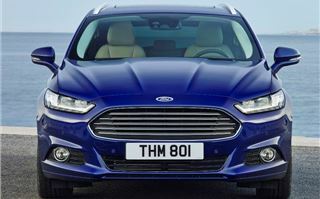 The delays to the new Ford Mondeo have been well-documented, but it's difficult to deny the clear improvements made to Ford's family favourite. 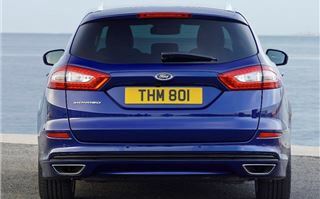 Not only is the new 2.0-litre TDCi responsive and packed with torque, but it's also quiet and efficient. That makes it a rewarding experience in a family car. Some will find the soft ride and dumb-downed steering to be a switch off, but it's difficult to argue against the huge gains made in refinement and practicality. 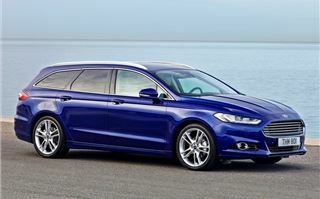 The Ford Mondeo Estate is available to buy now.